I like that stripped shirt, thanks for sharing! 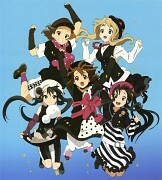 Mio..... very kawawii & moe & cute thanks for very nice scan. This is a very nice image. They look pretty darn cool here. Mio-Chan looking Kawaii as always. 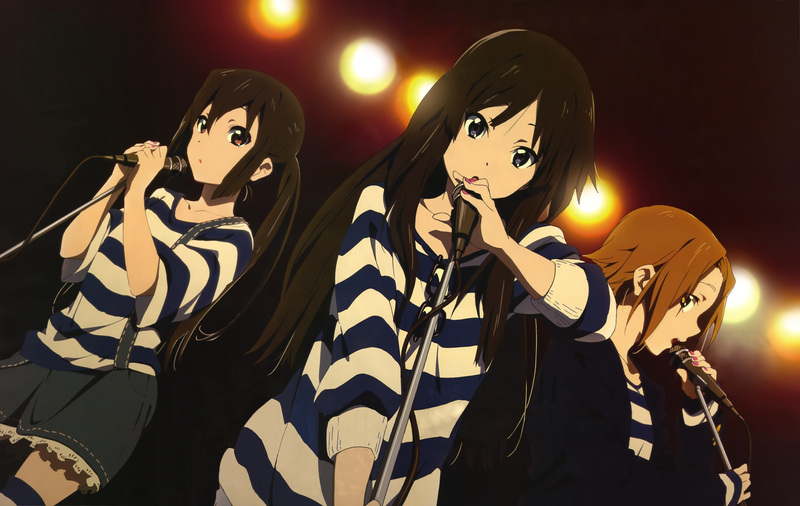 bien combinadas y perfectamente coordinadas, esas son las K-On! Thanks so much for the Wonderful K-ON! Scan!